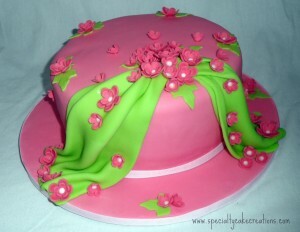 For her mother’s 80th birthday this customer asked me to create a specialty cake. She left the design up to me but asked to include pastel colors, especially pink, as those are her mom’s favorite. 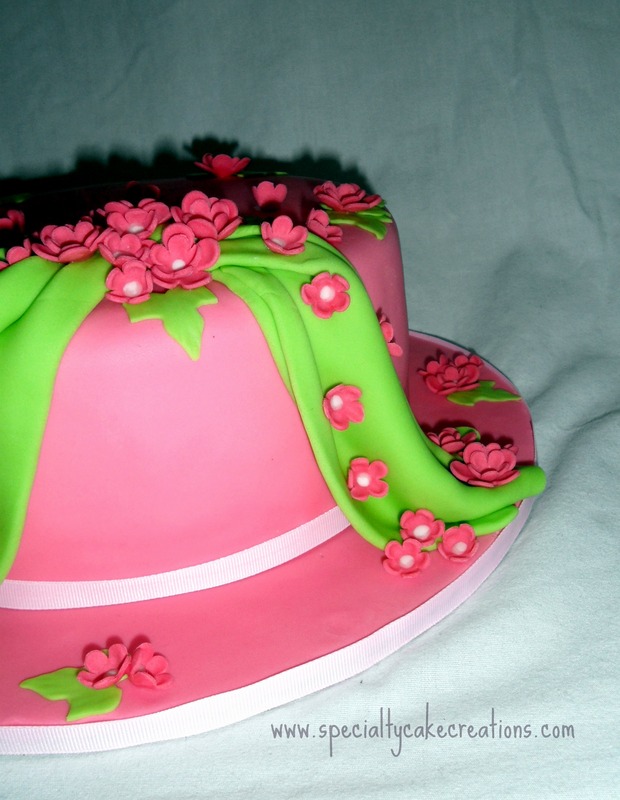 I created this light pink fondanted cake with darker shaded pink flowers and a light pink ribbon along the bottom. Elegant swags in pale green are flowing down from the top. Flavors included vanilla bean cake with raspberry filling and white chocolate buttercream. The cake was delivered to Vernon as my husband and I were on our way to Calgary that morning.